A trophy fit for a king ... or queen! 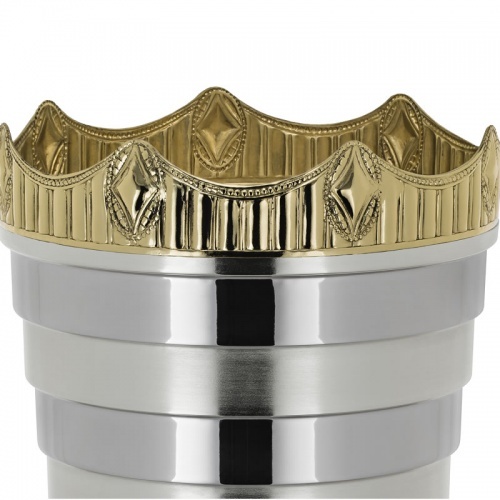 These superb trophies feature a stepped design on the silver plated body topped with a gold plated crown style rim. 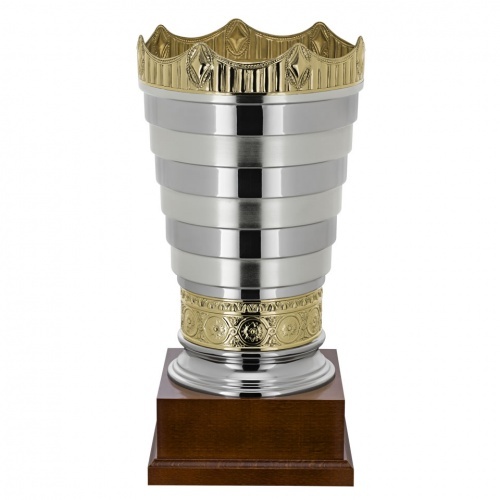 They also feature a band of gold plated decoration towards the foot of the trophy body. 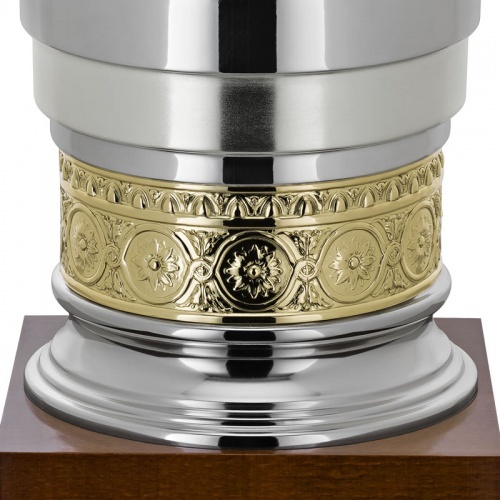 Mounted on a square shape wooden plinth, these prestige trophies can be engraved on the body and/or base via an engraving plate. 1757-3: 15.25in (39cm) height; 7.5in (19cm) dia. 1757-2: 16.25in (41.5cm) height; 8.25in (21cm) dia. 1757-1: 17.75in (45cm) height; 9in (23cm) dia. 1757-0: 18.5in (47cm) height; 9.75in (25cm) dia.